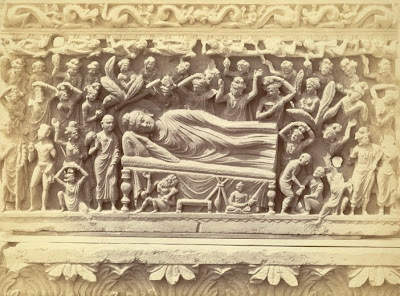 A votive Stupa in the monastry. Probably dedicated to a teacher who lived in the room, the Mohra Muradu Buddhist monastery archaeological site. Located in ancient Taxila — in Punjab Province, Pakistan. 1. The Double-Headed-Eagle Stupa — at Sirkap, theIndo-Greek archaeological site. Located near ancient Taxila — in Punjab Province, Pakistan. 2) Ruins of ancient City of Sirkap, the Indo-Greek archaeological site. Located near ancient Taxila — in Punjab Province, Pakistan. 3) A round stone stupa — at Sirkap, theIndo-Greek archaeological site. Located near ancient Taxila — in Punjab Province, Pakistan. 4) A Jain Temple — at Sirkap, theIndo-Greek archaeological site. Located near ancient Taxila — in Punjab Province, Pakistan. 5) A Stupa from first century BCE — at Sirkap, theIndo-Greek archaeological site. Located near ancient Taxila — in Punjab Province, Pakistan. 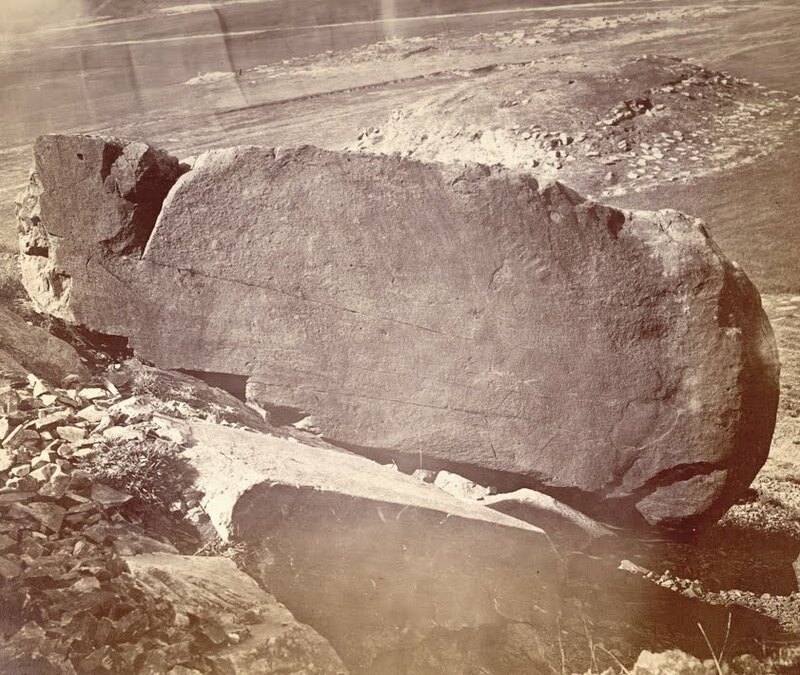 6) The stone wall of the ancient city of Sirsukh — the Kushan Empire archaeological site. Located near ancient Taxila — in Punjab Province, Pakistan. 7) The round room of the apsidal temple — at Sirkap, the Indo-Greek archaeological site. Located near ancient Taxila — in Punjab Province, Pakistan. 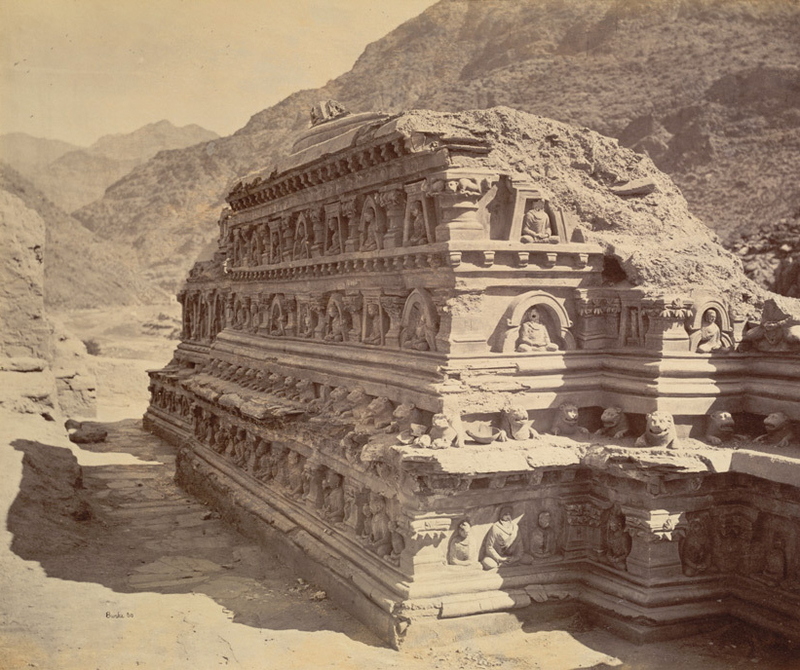 8) A view of the main stupa of the Mohra Muradu Buddhist monastery. Archaeological site located in ancient Taxila — in Punjab Province, Pakistan. 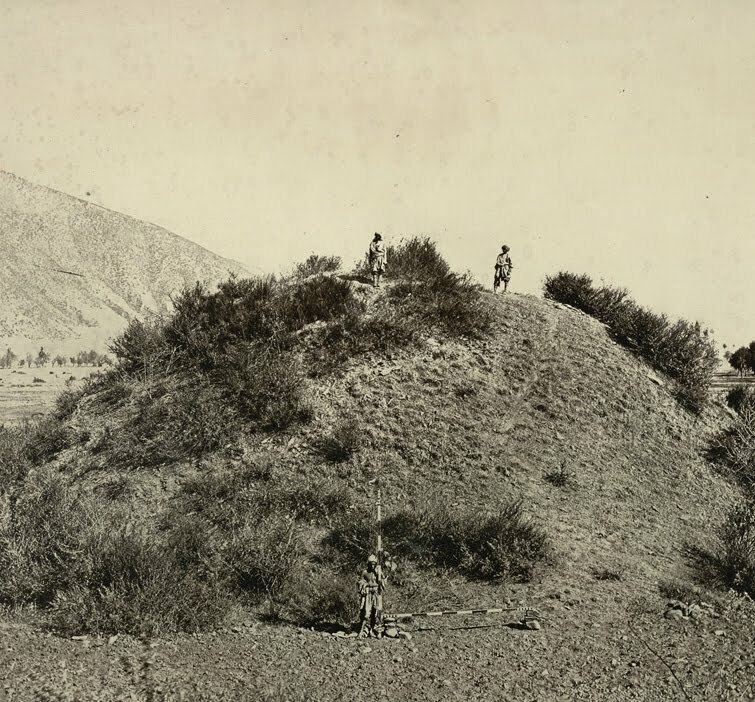 9) Bastion in the wall of Sirsukh with hole for the archers — at Sirsukh, the Kushan Empire archaeological site. Located near ancient Taxila — in Punjab Province, Pakistan. Photos by Dawoodmajoka, 2008. 0) A water well — at Sirkap, the Indo-Greek archaeological site. Located near ancient Taxila — in Punjab Province, Pakistan. Photos by Dawoodmajoka, 2008. 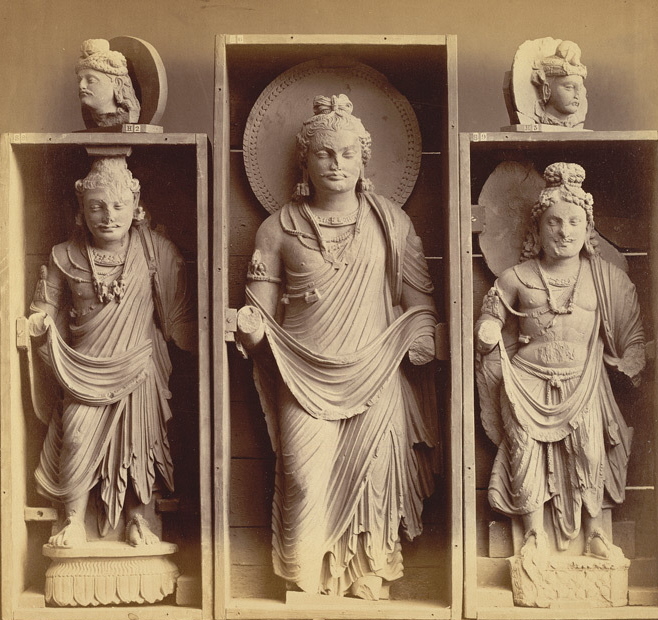 Photograph of a Buddhist sculpture from Loriyan Tangai, taken by Alexander Caddy in 1896. This style of sculpture, influenced by Graeco-Roman elements, is known as Gandharan and takes its name from the ancient kingdom of Gandhara (Peshawar) which, together with Udyana (Swat), corresponded fairly closely to the northern part of the North West Frontier Province. 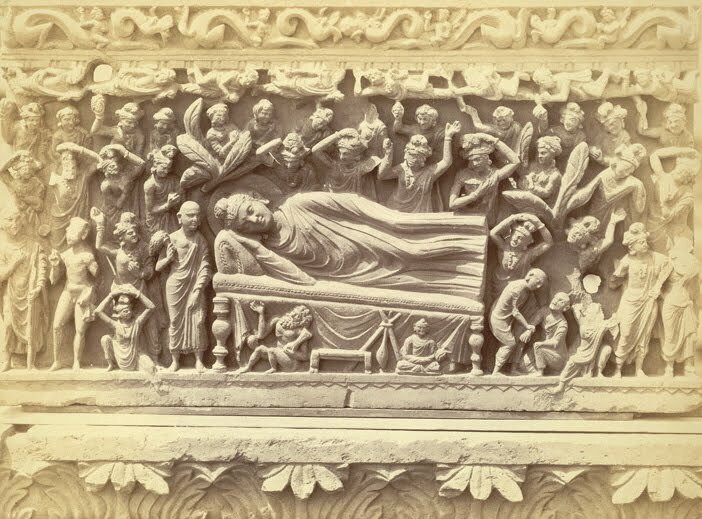 The 'Death of Buddha' (Mahaparinirvana) was one of the earliest and most popular subjects for Gandharan sculptors and this slab shows the flowing robes and curly hair which were specific features of this type of sculpture. The frieze of small figures riding sea-monsters also shows evidence of the aforementioned Graeco-Roman influence. Oriental and India Office Collection, British Library. Panorama of Ancient Buddhist Monastery at the Jaulian archeological site. 3rd Century BCE - 3rd Century CE. Photo by Waqas Usman, 2006.